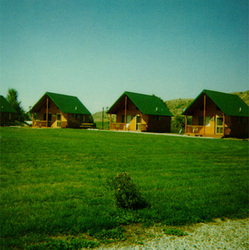 Lena's Cabins are nestled in the foothills of the Beartooth Mountains. We are adjacent to Absarokee, Montana which offers all services, including whitewater rafting, fly fishing on the Stillwater River and horseback riding. There are also several golf courses nearby. We are close to Red Lodge, an entrance to Yellowstone Park and a ski area. Campgrounds, hiking and numerous fishing streams and lakes are in the area. There is a new convenience store across the street. Directions: Lena's Cabins are located off I-90 at Columbus, Montana. It is 65 miles west of Billings, Montana and 3 miles south of Absarokee, Montana to the junction of Highway 78 & 419 where we are located across from Olie's Corner (a convenience store).